Kabir News Tech Facebook Home on HTC First Smartphone? 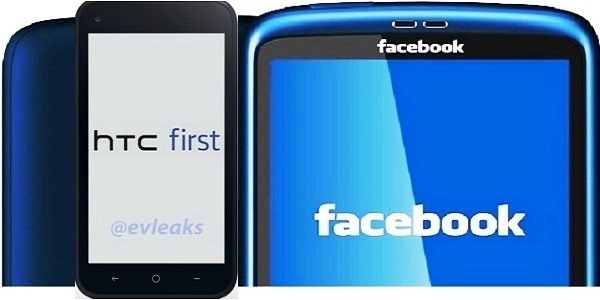 Facebook Home on HTC First Smartphone? Time and again, rumors of a Facebook phone surfacing on the market has filled news and rumors pages, and the idea of a phone bearing the name of the ubiquitous social media site have taken the imagination of countless speculators. The social media giant has denied again and again of having any plans or of being involved with the development of a “Facebook phone.” And again and again, curious speculators and spectators alike who are always on the watch for whatever is new in the tech world have always found tell tale signs that Facebook may indeed be up to something that amounts to a sort of a Facebook phone, or at least a phone related to Facebook. Just last week, after a series of denials on the matter of a “Facebook phone”, the social network sent out invitations for an April 4 press event telling invitees to “Come See Our New Home on Android.” The invitation lacks any detail concerning what the event is about, but the Android theme sent the rumors machine up again and catalyzed speculations of a Facebook phone anew. Right after the invitations have been sent out, a Wall Street Journal report the following morning stated that the social network might display Facebook accounts on a smartphone’s homescreen as well as status updates. WSJ goes on to claim that the event on April 4 will not be about a Facebook Phone but rather a Facebook software that will run on Android devices. It states in the report that Facebook has been developing a software for Android devices, and such software will displays user’s Facebook account content on a smartphone’s home screen, which happens to be the first screen visible to the user when the device is turned on. On the other hand, TechCrunch also noted in a column after the Facebook events invitation has been sent out that the social network may indeed reveal in the upcoming event an altered Android OS running on HTC. This can explain why Facebook and HTC has recently been tied to each other in the circulating Facebook phone stories. Not to be left out on the rumor machine is Evleaks, which is famous (or for that matter, infamous) for leaking out original images of devices which are not yet announced to the public. In its Twitter account post, Evleaks shows in a photo that the new Facebook “home on Android” will be featured on HTC First, an upcoming HTC smartphone.